Cathedral Prep is full of rooms which students may not have the opportunity to explore. Oftentimes, these rooms have their doors closed and are ignored by students waking by, focusing on getting to their next class or rushing to lunch. One of these rooms is Room 216. Room 216 is the debate room. In years past, it was where the debate elective was taught in school. Three years ago, Father Hahn taught the debate class, and in the following year Will Lewis, a senior at the time, helped lead the class. This year, the students who end up passing that classroom on their way to Dr. McLaughin’s, Ms. Lion’s, or Mr. Fleming’s rooms will likely see the lights off. 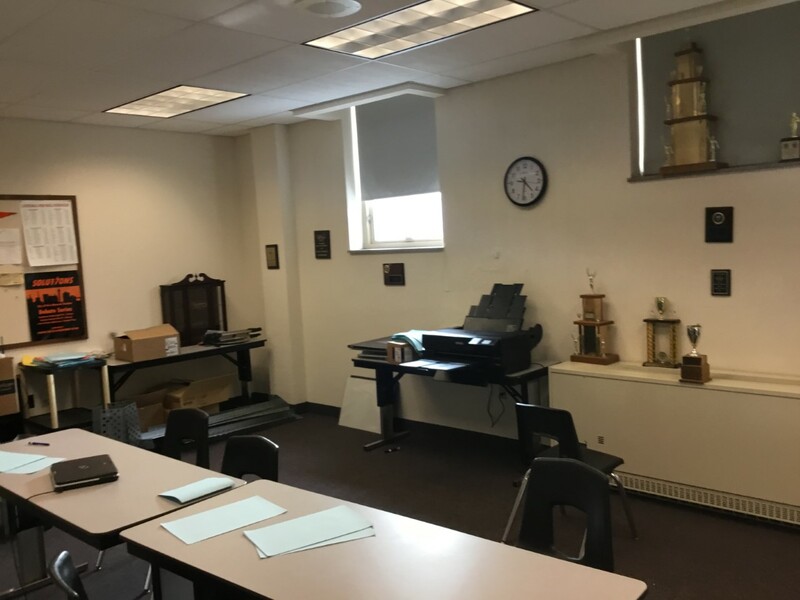 Since this room does still hold a certain amount of mystery, current member of the debate team, senior Justin Czerwinski, offered to describe how Room 216 is being used this year. The debate room is also filled with awards. These awards vary from being a top speaker at a debate tournament or simply winning a tournament. One such tournament the Prep debate team continually performs well in is the Pennsylvania State tournament. The debate team is the oldest club still going on at Prep. Justin explains, “The program is certainly historic, and this history is filled with many successes along the way. In fact, some of the trophies date back to the 1960s!” Some of the debate team’s other trophies are also on display in the hallway among the other athletic awards.